Roger Federer is a professional Tennis player of Swiss origin. He is rated as 'number three' in the world by the Association of Tennis Professionals (ATP). Federer occupied the world No. 1 position for 302 weeks. He won 17 Grand Slam singles and is one of the seven players to win a career Grand Slam. Federer has the most titles at Wimbledon, an Open Era record that he shares with Pete Sampras and at the US Open with Jimmy Connors and Sampras. 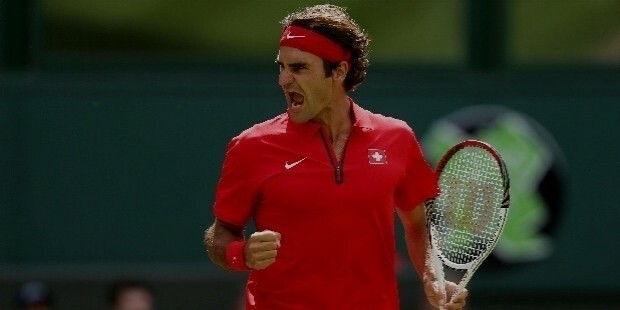 Roger Federer won six ATP World Tour Finals, 'gold medal' in doubles at the 2008 Summer Olympic Games and a silver medal in singles at the 2012 Summer Olympic Games. He was declared the Laureus World Sportsman of the Year for four years consecutively. 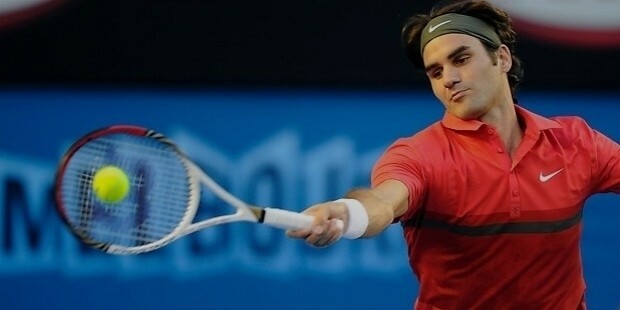 Roger Federer qualified for the fourth round of the 2016 Australian Open, thus becoming the first male player to win 300 grand slam singles matches. 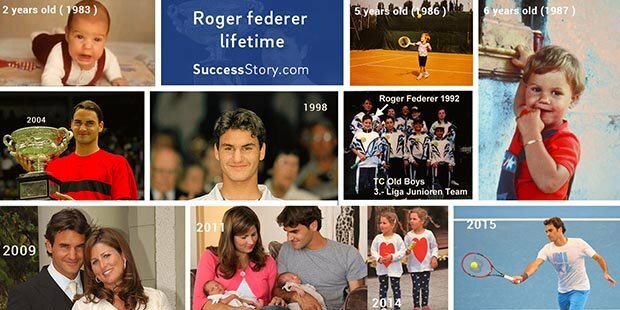 Roger Federer was born on August 8, 1981 in Basel, Switzerland to Robert Federer and Lynette Federer. Federer has an elder sister. He grew up in Birsfelden, Riehen, and then Münchenstein. Federer was brought up as a Roman Catholic. As a child, he played badminton and basketball and supported F.C. Basel and the Swiss National Football Team. Roger Federer created his mark as a junior player in the 1998 Wimbledon, where he won the 'boys singles' and the 'doubles'. Federer has four victories in the ITF junior singles tournaments and the Orange Bowl. He ranked at 'number one' in the junior category in 1998. Federer played his first tournament as a professional in 1998 at Gstaad. Federer featured for the first time in the top 100 ranking in 1999. He shone victorious in the Hopman Cup, representing Switzerland. Federer reached the top 10 position, when he won the Master Series event at the 2002 Hamburg Masters on clay- his first! Federer tasted his first victory in the Grand Slam singles title at Wimbledon in 2003. He won the finals at Dubai and Vienna on the ATP Tour. Federer was rated at ' world number two', having won the year-end championship against Andre Agassi. Federer was the first person to win three Grand Slam singles titles in 2004 after Mats Wilander in 1988. His victory at the Australian Open placed him at world 'number one'. The year 2004 proved to be extremely lucky for Federer as he bagged his second Wimbledon and his first US Open title. He won the Swiss Open, his first tournament on home soil. 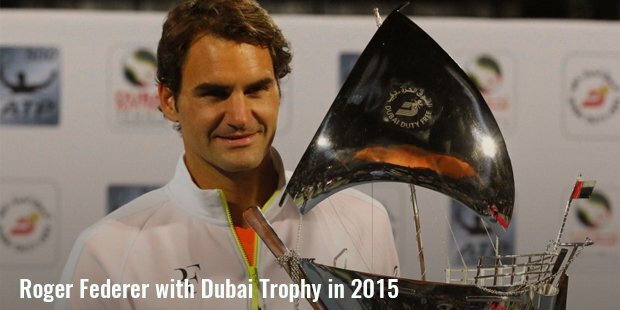 Federer bagged his second year-end championship. Federer won the Wimbledon Championships and the US Open. He bagged four ATP Masters Series 1000 and two ATP 500 series. Federer had 11 singles titles in his kitty in 2005. 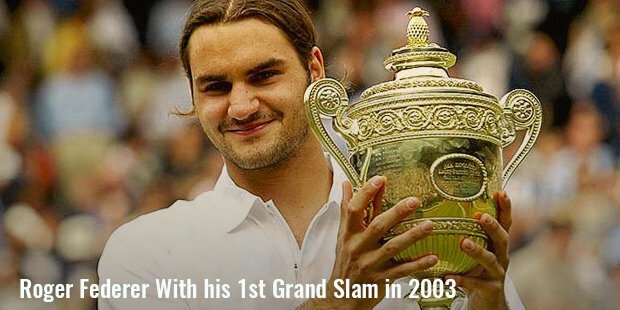 Success shone bright on Federer during 2006. It is considered the best season of any player in the history of Tennis. Federer won 12 single titles and qualified for the finals in 16 of the 17 tournaments. He was the first player to reach the the finals of all four tournments in one calendar year. It was no mean feat that Federer won the Swiss Indoors in Basel, Switzerland, his home tournament. Federer was the first man in the 21st Century to win the 2007 Australian Open without losing a single set. He won the Wimbledon for the fifth consecutive season, placing him with Bjorn Borg. Federer won the US Open, in Basel and the Year End Championships in Shanghai. He was the only player in history to win three major tournaments in a year for three consecutive years; 2004, 2006 and 2007. Federer continued to reign undisputed at world 'number one' for 52 weeks of the year. Federer won a 'gold medal' at the 2008 Olympic Games. He achieved a career Grand Slam by winning his first French Open title in 2009. Federer broke Pete Sampras' record of 14 Slam singles title by winning the 15th Grand Slam singles title in the same year. He was referred to as the “greatest player in Tennis history” by tennis analysts and players alike. Federer won his 700th tour match and the 150th tour match on clay at the French Open in 2010. 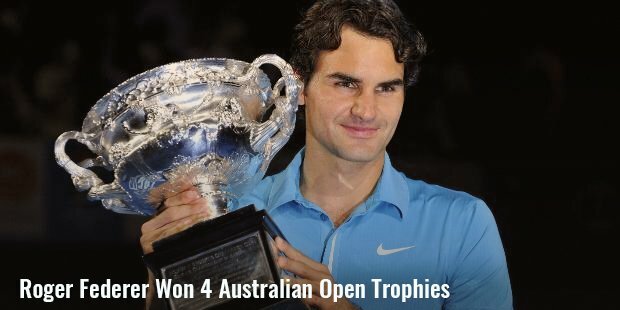 He won his 16th Grand Slam at the 2010 Australian Open. Federer won several indoor titles in 2010 and attained 66 career titles. Federer was voted as the second most trusted and respected person in the world, next to Nelson Mandela in 2011. He won the indoor titles, including the Swiss Indoors for the fifth time. Federer won his first Paris Masters title, becoming the first player to qualify for all nine Masters 1000 finals. He won the sixth ATP World Tour Finals title. 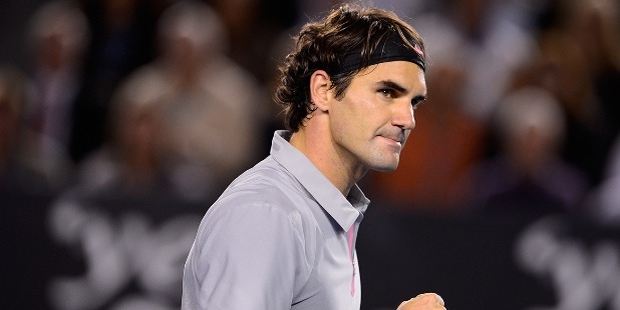 Federer ranked at world 'number three' at the end of 2011. Federer won the Rotterdam Open, the Dubai Tennis Championships 2012, Indian Wells Masters and the Wimbledon championship in 2012. He was back at being the world 'number one'. 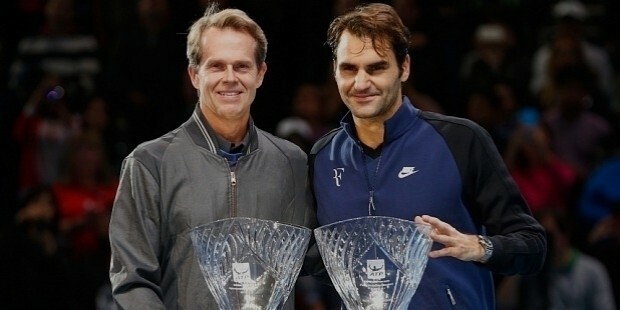 Federer was coached by Severin Lüthi and Stefan Edberg joined him as co-coach in 2013. He won the Davis Cup for Switzerland, again a first in 2014. 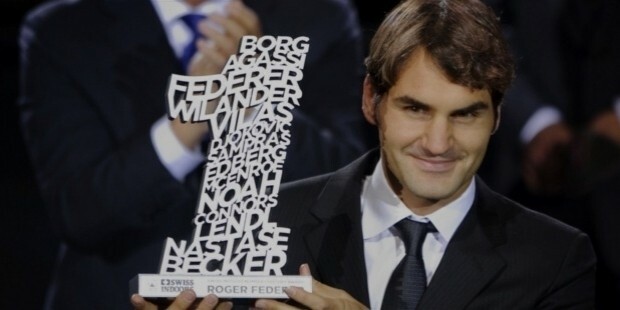 Federer achieved the honor of being the third man in the Open Era to have more than 1000 wins in 2015 and to win Gerry Weber Open eight times. He was the first man in the Open Era to win at least one title in 15 years consecutively and the fourth to cross 9000 career aces. He beat Andy Murray and Novak Djokovic in the Cinicinnati Masters for the seventh time. Federer won the Swiss Indoors. On 29th January 2017, Federer defeated arch-rival Rafael Nadal 6-4, 3-6, 6-1, 3-6, 6-3 in the final of the Australian Open. This was his 18th slam title. He will surely go down in history as one of the greatest players of the game. Federer is married to Mirka Vavrinec, former Women's Tennis Association player. The couple is blessed with two sets of twins, girls and boys; Myla Rose and Charlene Riva and Leo and Lennart. Federer founded the Roger Federer Foundation in 2003. The organization supports disadvantaged children in education and sports. 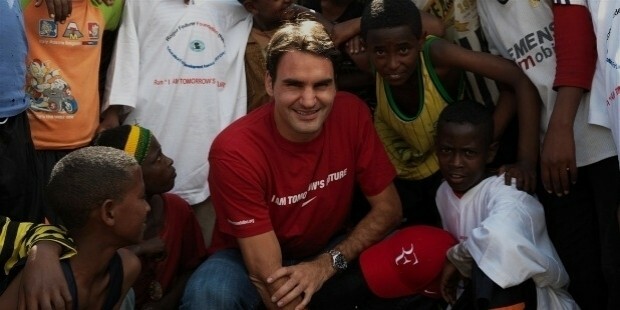 Federer patronizes the South Africa-Swiss charity IMBEWU, committed to facilitating children to connect with sports and spreading social and health awareness. Federer speaks Swiss German, Standard German, English and French fluently. Roger Federer is the highest-paid sportsperson in the world. He features at 'number two' of Forbes World's Highest Paid Athletes list. He is the top earner in tennis with 10 endorsements to his credit. He is the brand ambassador for Nike and the Swiss companies Nationale Suisse, Credit, Rolex, and Lindt. Federer's association with Mercedes-Benz China became a global partnership deal in 2010. He advertises for Gillette, Wilson and Moët & Chandon. Federer was referred to as the “greatest player in Tennis history” by tennis analysts and players alike. He was voted as the second most trusted and respected person in the world, next to Nelson Mandela in 2011. Federer was declared the Laureus World Sportsman of the Year for four years consecutively.